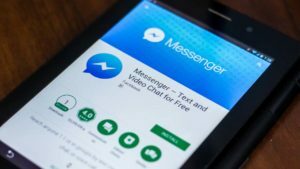 WhatsApp Messenger functions like a default messaging application found on every mobile device, except it’s free of charge. Users can send text messages and media files (ex. images, video, audio), as well as make calls through the Internet over 3G/4G or even WiFi. They can communicate with their closest contacts, friends and family members anywhere they are while avoiding SMS cost. It is also compatible with the Android Wear. The application works on Windows, Mac, iPhone, and even as a web-app so that communication is always available at all times. 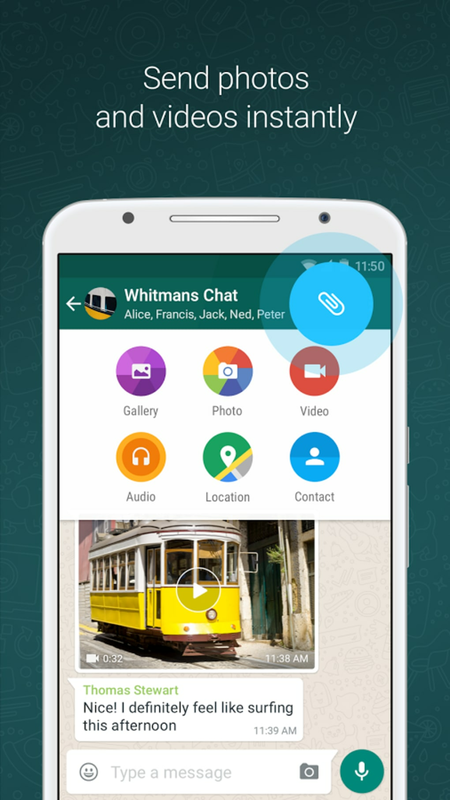 The application is capable of hosting group chats. Users can gather groups of up to 256 people for important conversations that are only inclusive and private. Group messaging enables features like sharing files and private communication. Some of the customization options available in group chat are renaming, muting conversations and customizing the chat notifications. 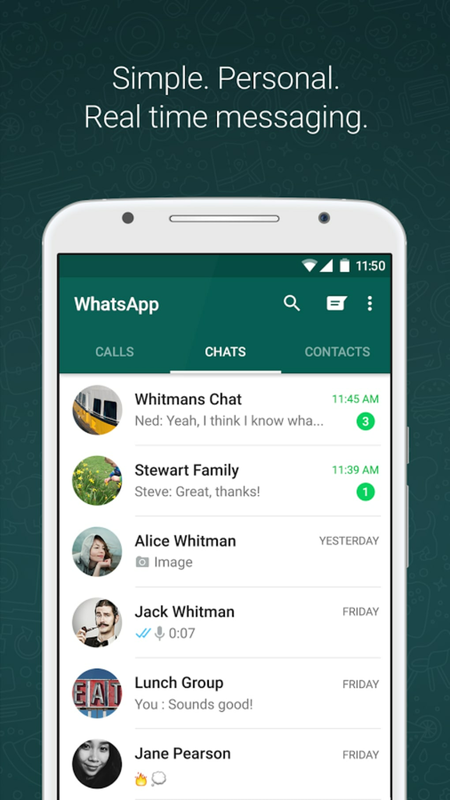 The web-app version of WhatsApp ensures that users can have seamless syncing of most chats from mobile devices to computers. They can pick which platform is more convenient for them to talk with contacts. This application comes with free voice call feature. Everyone can have conversations even on different country. This is great regarding face-to-face conversation for users who wants communication beyond texting. The advantage of having voice call through Internet is it saves data plan for mobile devices. There is one thing that users must remember before starting a voice call. Their mobile device must have remaining data since it may still charge data when initiating calls. 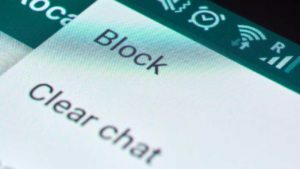 It is now possible to have an expense-free calls by simply connecting to the Internet while avoiding calling charges. 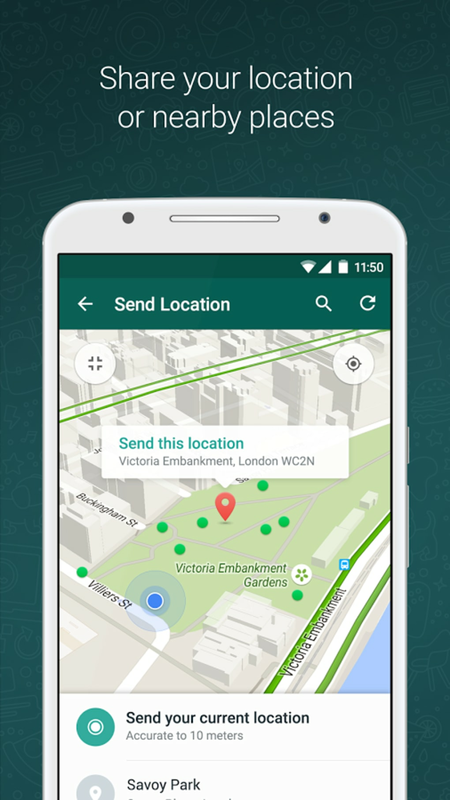 WhatsApp Messenger is also built with security in mind. It has end-to-end encryption as every personal moment logged on the application are shared on it. Every messages and calls are secured to keep communications between users privately. The application can send media files in an instant. Users can utilize their mobile devices’ integrated camera to take photos and videos, along with sending them through WhatsApp. This is ideal for sending updates during vacation, casual occasions or important events even with slow connection. The application makes sharing documents to contacts easier compared to traditional email sending. It can send various files like documents, PDFs, spreadsheets and slideshows on a simple process. Users can upload up to 100MB files for acquiring or providing important documents to work associates. 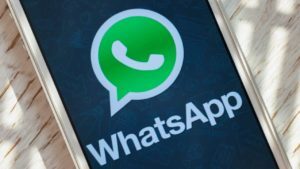 A business version of WhatsApp is available regarding communications in the workplace. 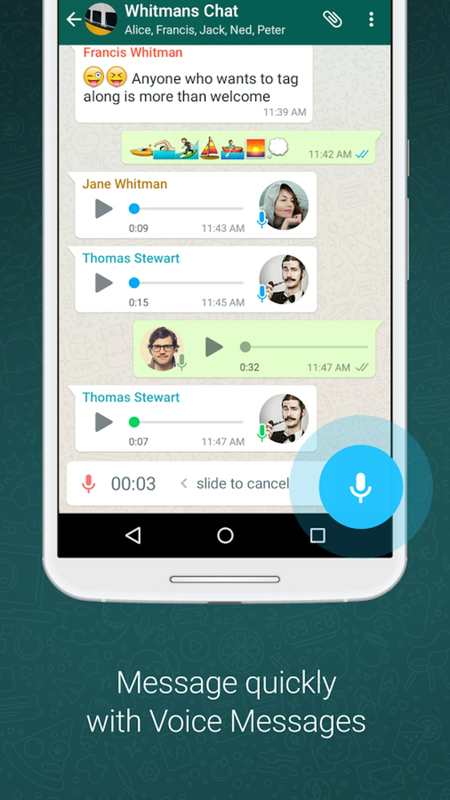 This application includes a recording feature for composing voice messages. Users who want a personalized yet well-made messages. They simply open the recording and say what they meant and send it on their contact. 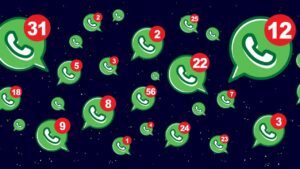 These are popular platforms for communication with varying features which could be absent from WhatsApp. 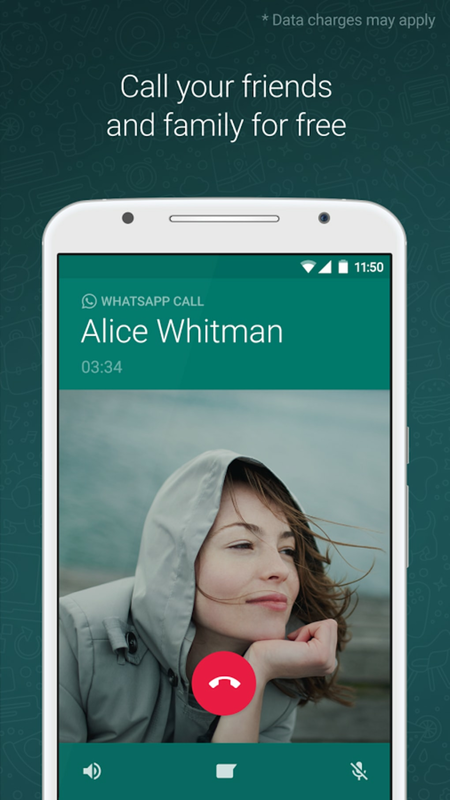 On the other hand, WhatsApp still competes fairly with other messaging apps on the market today. WhatsApp helps users cut down their data usage on their mobile devices by utilizing the Internet for connecting. It allows them to send text or voice messages, media files and documents, and even recorded voice messages. Communication among users is made convenient without worrying about network data consumption. It is clearly indicates the status of message and it will be good for comminucation. it is easy and applicable. it is mist suitable for transfring data. The best messaging app. This is the best messaging application. You can text to all your contacts and have group conversations!